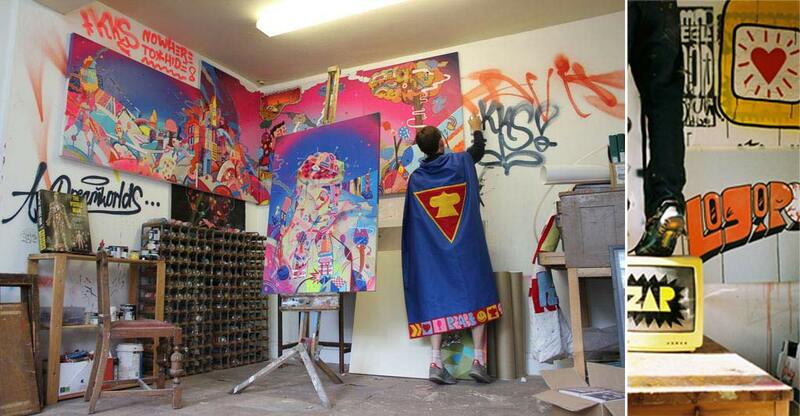 Bristol based street artist Sickboy traditionally trained in fine art before he started street painting in 1995. He has become one of the leaders in the British street art movement producing highly collectible work. Sickboy pioneered the use of a pictorial logo for a tag instead of using his name. He is acclaimed for his work on temples, slogans and for his bold stunts, including the caged heart installation dropped outside the Tate modern in 2008. Sickboy’s work continues to evolve and is producing graphic, iconic imagery.